One of Faerielands heartly traditions is the Poogle Races. Ever since the land was discovered above Neopia all those years ago, it's been going on all the time around the clock, every 15 minutes like clockwork. 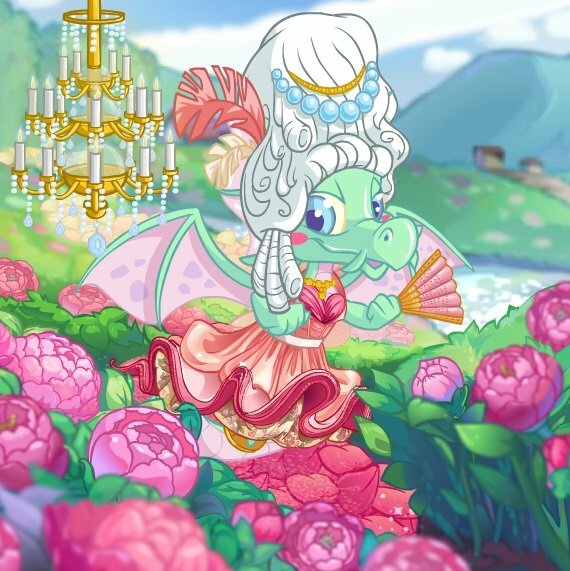 It's a time-honoured tradition that even the Neopians of today still love. 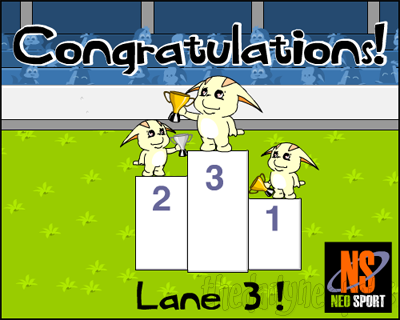 The aim of Poogle Racing is pretty much identical to that of horse racing. You back a Poogle by putting money on it, watch the race and cheer your heart out for it as it passes the finishing post. There's a race at :00, :15, :30 and :45 past the hour every hour with bets being placed 10 minutes before the start of each race. The favourite to win every race. He's the fastest, quickest, most agile one on the course, which means he has the lowest odds of them all. He's not guarenteed to win, neither, but it's likely. If you are a frequent better, this is the Poogle for you. The next favourite to win. She's not too different from Poogle 1, although gets distracted easily if someone, say, cheers for her. To compensate, however, they have given Poogle 2 slightly higher odds. She has potential to win every race, but is often out-shined by those with better odds. Choose this Poogle if you play fairly often. The average Poogle. Not the best at the hurdles along the course, but can have days where he has the characteristics of Poogle 1. With the odds of 5 to 1, a maximum bet could seriously pay off with this Poogle. I suggest choosing this Poogle if you're a semi-regular Poogle Racer. We're now getting to the outsiders. 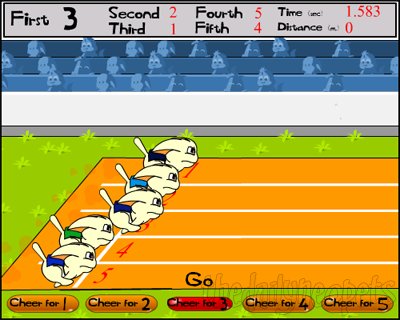 Poogle 4 isn't the fastest, but once was back when the sport was at its most popular. Although still competing, she is usually seen far behind the main competitors. On a good day, however, she can win the race at the last few metres. Bet on this Poogle if you're having a one-off flutter. With the odds of 9 to 1, this Poogle is the rank outsider. It's seen as crazy to bet on this Poogle all the time with its poor track record. He's the fattest one on the track and often lags behind, but capitalises on the other Poogles off-days. 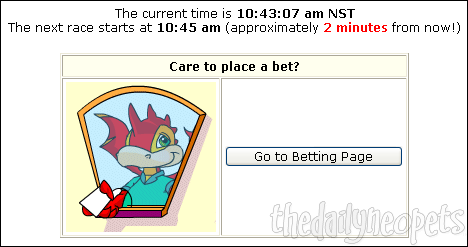 Bet on this Poogle if you're a regular Poogle Racer with persistance. When you've made a decision on which Poogle to back, click the "Go to betting page" button. The information above will tell you the current time and how long until the next race. If it's too early, don't forget about your Poogle Race bet, otherwise it will be lost. Also, if you have a slow internet connection, don't bet on a race happening in the next minute, as your bet may not go through in time and you may lose your Neopoints! 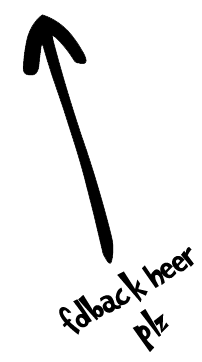 On the betting page, the form is straight forward. First you pick your Poogle (Simply numbered in order for your convenience! ), your bet and whether to feed your Poogle an item before it races. Considering the maximum you can bet is 300NP on this game, you may as well bet the maximum amount. Personal experience has shown that feeding your Poogle any food item will not affect how it does in the race, but you may wish to do so for luck. Once the bookmaker has taken your bet, you will need to go "Back to the Racetrack" and refresh the page once it's gone past the quarter-hour mark (For the race you bet in). A box will come up for 5 minutes saying "Race in progress" with two buttons to view the race with or without sound. Regardless to which button you press, however, both go to a race with sound. It doesn't take very long to load on a modern internet connection. Don't worry, if it does take longer than 5 minutes to load for whatever reason, you won't miss the race! This is the screen you'll see when they are racing. A fanfare will play, then they will begin. The screen has various meaningless elements to it. The top grey bar will tell you the positions of all the Poogles, the time and the distance covered. This information is pretty pointless, but is useful for any Poogle Racing statician. The bottom bar of buttons say you can cheer on your Poogle (and all the other opposing Poogles o_O). These buttons don't do anything, as the race information is fixed, but if you feel it brings luck, bash it with all your might! Now you know the in's and out's of Faerieland's local game, why not have a little flutter yourself? You never know, the Faerie Queen might just fix it for you!